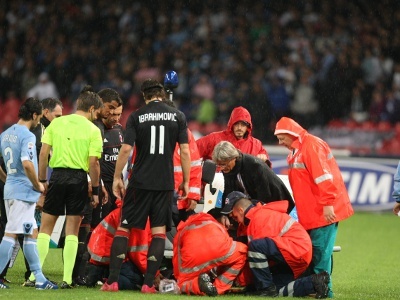 Among the many ways to advertise in stadiums during football or rugby matches, sponsoring the electric cars that are used as stretchers for emergency services provided to the players is a low-cost alternative. 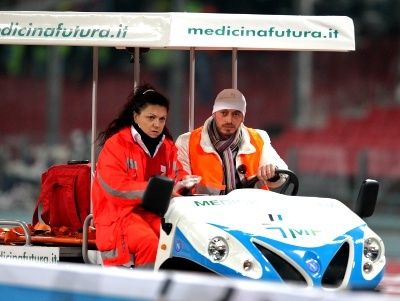 These electric stretchers with driver and first aid kits have already been chosen by Swiss stadiums for the 2008 European cup and the San Paolo stadium in Naples for Naples FC. In this video you can see a sponsored electric stretcher in action along the sidelines and thanks to its special wheels, this type of electric vehicle can also enter the pitch without damaging the grass. This solution is due to the fact that Alke's electric vehicles are largely used for maintenance purposes in golf courses where the turf is sacred. If used for advertising purposes in stadiums, electric vehicles usually have to be equipped with a first aid kit. 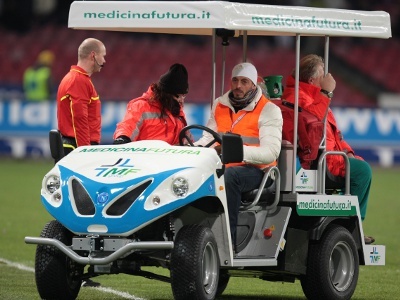 Alkè's electric vehicles designed to provide first aid services in stadiums are instead ready for use and are fitted with a stretcher and a driver's seat, plus space for the first aid kit in the driving compartment. 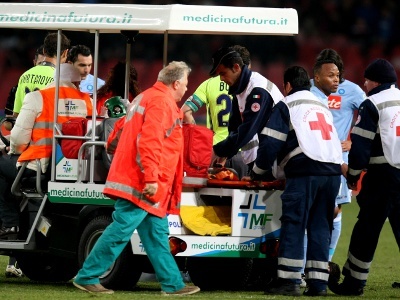 Alke's small electric ambulances are already prepared for use on the pitch, so there are no additional costs for the stretcher. 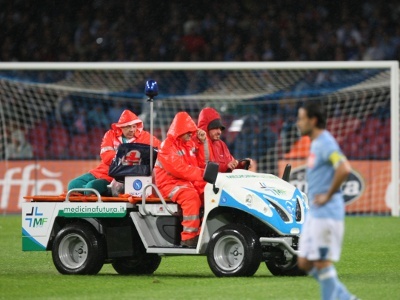 These electric ambulances spaces offer a considerable amount of advertising space, which will appear on TV and in the photographs taken by journalists in the hottest moments of the match, right at the centre of the pitch.